Posted on 6/20/2016, 4:21 pm, by HSG, under Craftster Community Spotlight. It’s Summer! Yes, the temperatures are on the rise, the kids are getting out of school and time to hit the road. 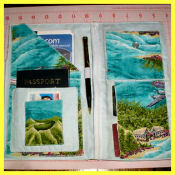 To get you and your family all set for your summer trip I have some travel crafts to share from around the World of Craftster. First, let’s all plan on doing a travel journal! What better way to record your family trip for bribery posterity than in a journal. 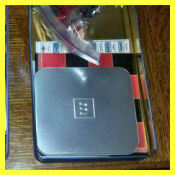 You can add pictures, keepsakes, postcards, etc. tendstowardschaos even made photo corners to add to your pictures. Next you will need travel bags to put all your travel clothes, toothbrush, shoes, etc. Now where will you put your cards, passport, cash, etc.?
. Well, in this travel wallet by stitch81, of course! 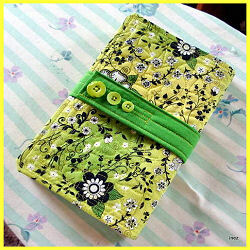 How convenient to have it in one quick place, and she even used some tropical fabric. If you’re traveling with kidlets then you’re gonna need some other things to carry along. One thing is this cute snuggly travel pillow for when they sleep. Artisan82 shares the easy and free pattern. Next you will need to keep the little ones busy on the road. These travel Bingo sets by Misselthwaite will do the trick, and maybe even get the adults playing. Now how about for you? 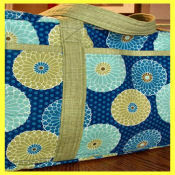 Maybe get in some quality stitching time while traveling or relaxing on the beach. 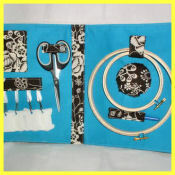 This travel embroidery case by stitch81 has everything secure and ready to use. While traveling this summer remember to be prepared. You can count on Craftster to give you lots of travel help. Check the tag cloud for more projects to take along, work on or just relax while doing this Summer. Don’t make me pull this car over! I love the idea of crafting on the go. Great round-up!